It has become abundantly clear that the best political TV shows aren’t just the stuff made of fiction, dreamt up by your favorite TV writer and showrunners. By some measure, the best political shows—as in, most outrageous and entertaining—are like the ones that played out last week in Cleveland, and those currently unfolding in Philadelphia. Plagiarized speeches. Failed endorsements. Divided factions amidst cries for “unity.” As the saying goes, you can’t make this stuff up. Of course, many have taken inspiration from our real political systems, and made up aplenty, resulting in some incredible TV. Over the years, producers and writers have mined the political playing fields of both the past and present to bring viewers hilarious comedy and heart-breaking tragedy. For our list, we stuck to fictional shows, rather than political satire. Which means Saturday Night Live and delicious gems like the 2015 Hillary Meets 2007 Hillary sketch weren’t considered. Nor were any of the wonderful shows that use current political events for their nightly fodder, like The Late Show with Stephen Colbert, which recently delivered this beauty. These great shows will have to wait for another list. If we’ve learned anything from politics, it’s that you can’t make all of the people happy, all of the time. So feel free to share your own list below, or to angrily declare in the comments that we’ve failed you entirely, and that you alone know enough about political TV to make Paste great again. As we prepare to bid farewell to Barack Obama, the 44th President of the United States, we present the following. 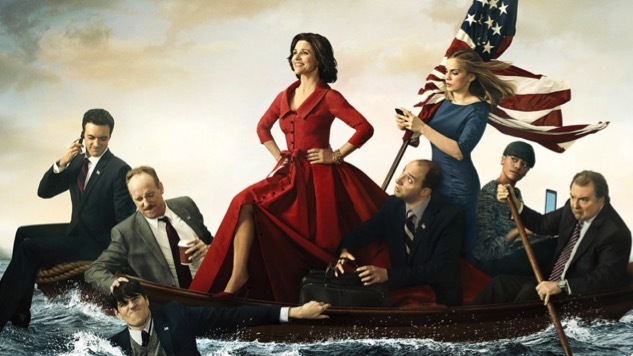 Here are our picks for the 44 greatest political TV shows of all time.